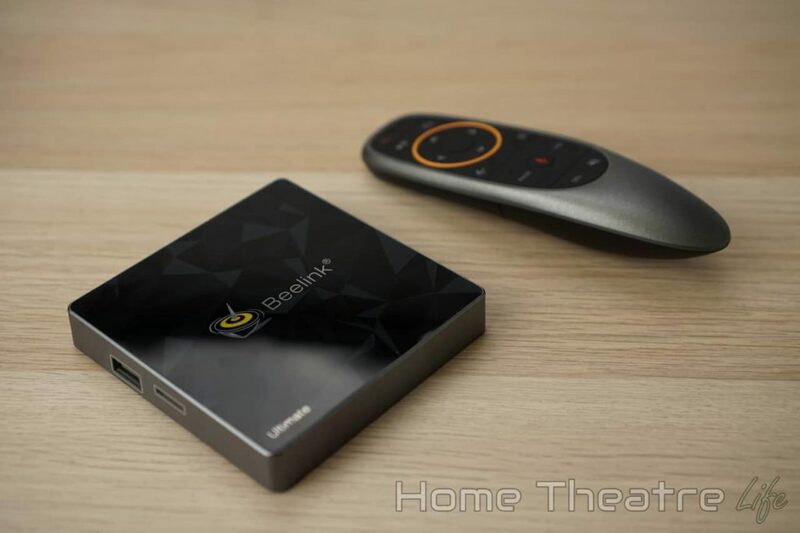 Home Reviews Android TV Box Reviews Beelink GT1-A Review: Is This Android TV Box Worth It? The Beelink GT1-A is a powerful Android TV box that boasts support for 4K Netflix playback – something which only a handful of boxes can do. 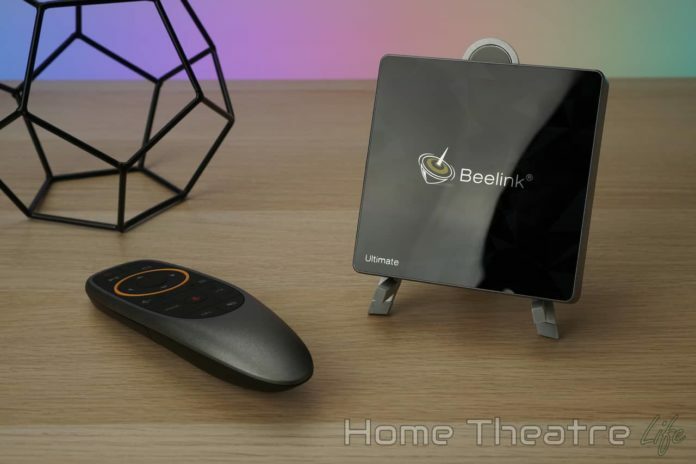 With the octacore Amlogic S912 processor under the hood and support for 4K Netflix, is the Beelink GT1-A worth it? 12 Should You Buy The Beelink GT1-A? The Beelink GT1-A is an evolution of the popular Beelink GT1 Ultimate that came out a little while ago. 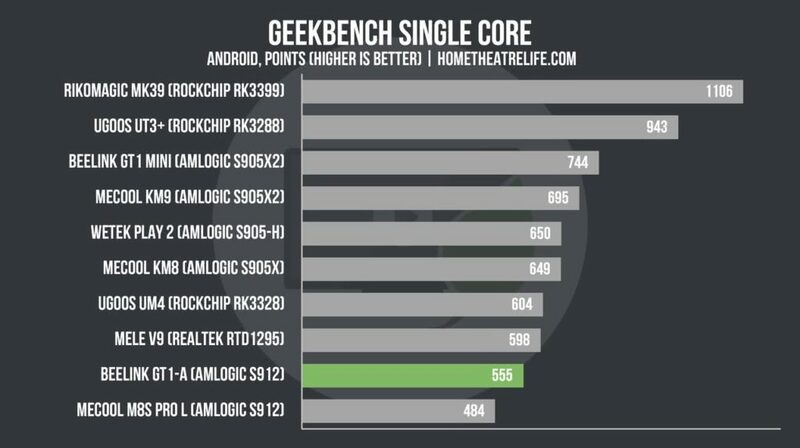 The octacore Amlogic S912 processor inside offers a smooth experience, with ample power for watching movies in Kodi, gaming and browsing the web. 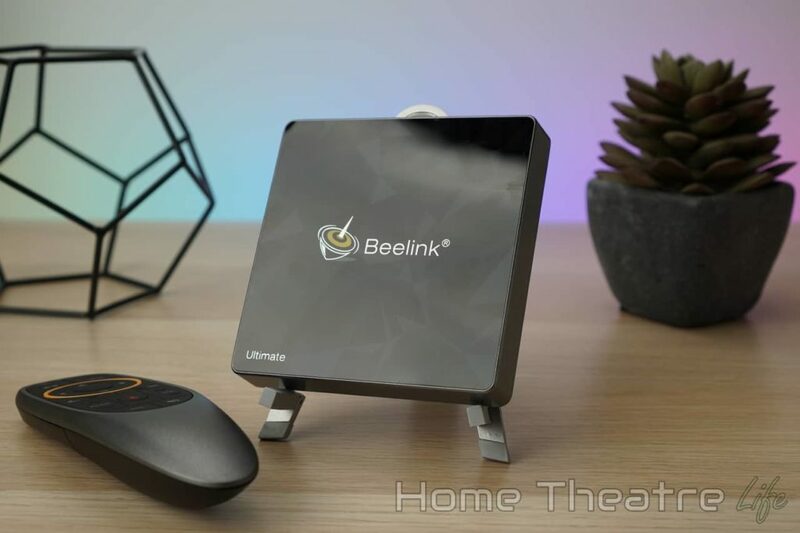 Networking-wise, the Beelink GT1-A ticks quite a few boxes with gigabit ethernet and dual band wireless AC offering plenty of bandwidth for streaming videos and games. Now the Beelink GT1-A’s design hasn’t changed much since the original GT1 Ultimate – but that’s not necessarily a bad thing. The same geometric design, complete with gloss finish, is here. Even the “Ultimate” label has been kept which is a little odd. The unit’s got a nice weight to it and a rubberised base so it doesn’t move around once everything’s connected. 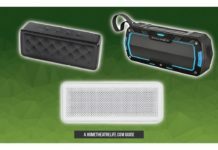 In terms of ports, we’ve got USB 2.0 and micro SD on the left side, and DC in, USB 2.0, HDMI out, Ethernet and optical audio on the rear. Having at least two USB ports is a must these days, particularly given that Beelink’s voice remote’s dongle takes up one right out of the gate. 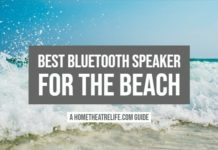 so you can ask questions, access your home automation devices and more. 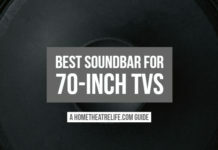 Though I don’t like that you need to keep it held down the whole time or the remote’s microphone will turn off. Also, as it uses 2.4GHz wireless, you don’t need line of sight which is awesome. However, as the remote’s USB dongle needs to be plugged in, it takes up one of the two precious USB ports which is a shame. An internal receiver would have been much better. 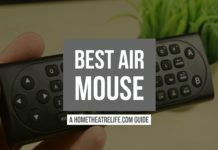 You can also use the Android TV Remote app to control the box but I’d recommend you get an air mouse for the best possible experience. From the software side, the Beelink GT1-A ships with an almost stock Android TV 7.1 experience – designed from the ground up for remote use. Everything’s organised into rows, including suggested content, apps and games. 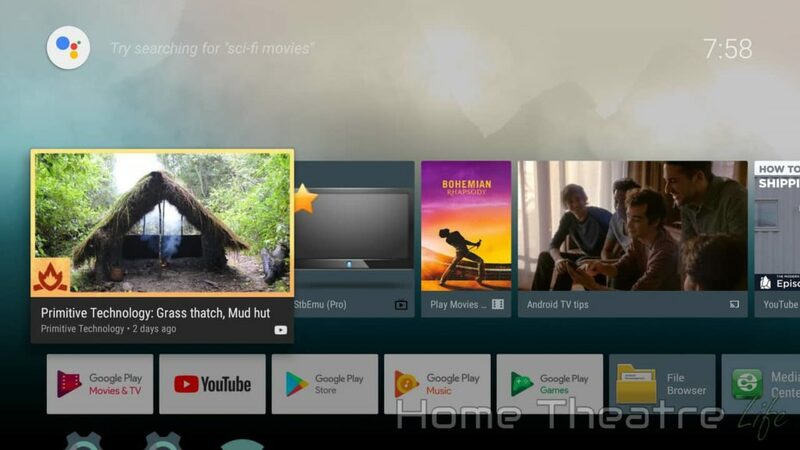 You’ve got access to the Google Play store to install more apps – though you’ll get Android TV’s cut down selection. However, you can always sideload an alternative app store like Aptoide TV to fill in the gaps or just sideload apps directly. 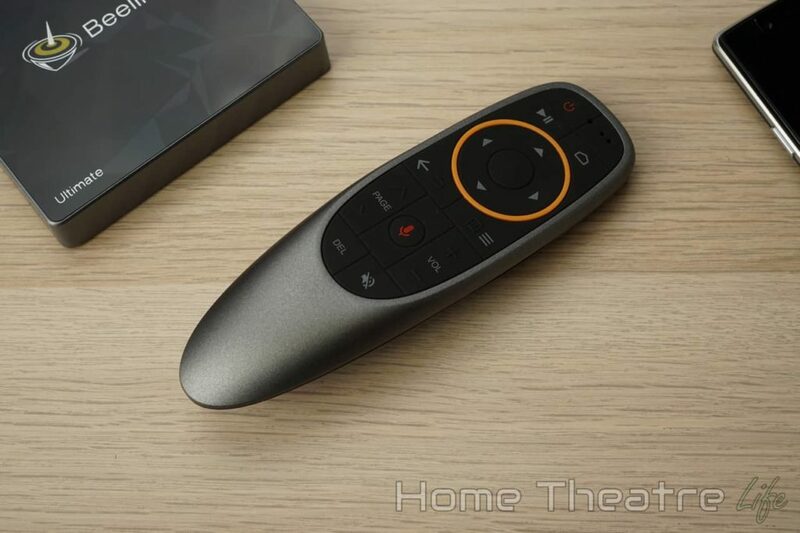 Power On/Off: You can power the Beelink GT1-A on and off using the remote. 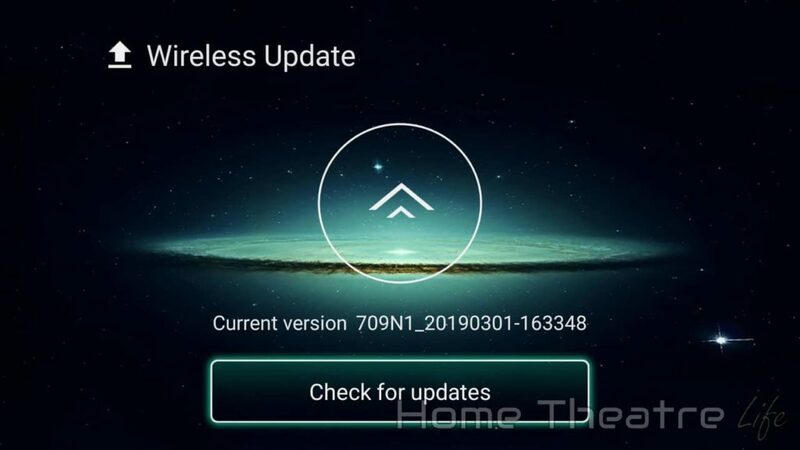 OTA updates are supported but no updates were available at the time of publishing. That said, Beelink usually release a few firmware updates after the release of a new device. 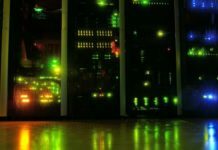 I’d recommend checking out their official forums where firmware updates are posted. 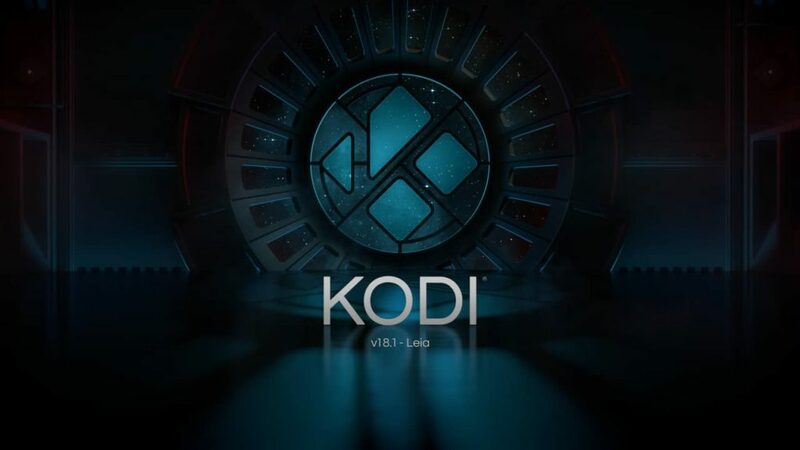 Video playback was tested using Kodi 18.1 downloaded from the Google Play store. Media playback on the Beelink GT1-A was good, handling most files without issue. As promised by Beelink’s marketing, the GT1-A supported 4K Netflix playback and has support Google Widevine L1 DRM. You don’t need to install Netflix from the Google Play store as its pre-installed. However, I suspect that this works via a workaround rather than official Netflix certification so it’s possible it won’t be supported in the future. 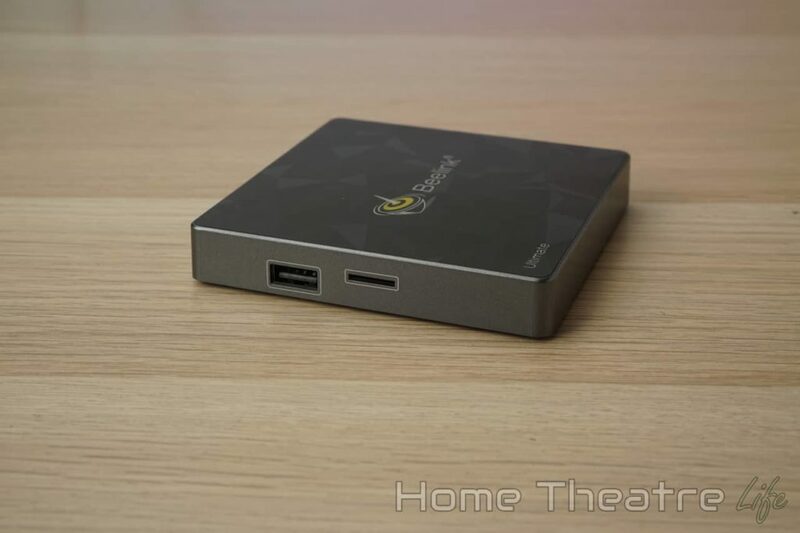 The Beelink GT1-A claims its got Chromecast built in (according to the screensaver at least). However, it simply doesn’t work. Whilst the Beelink GT1-A appears as a Cast target in apps such as Netflix and YouTube, it’ll always fail to cast which is a shame. 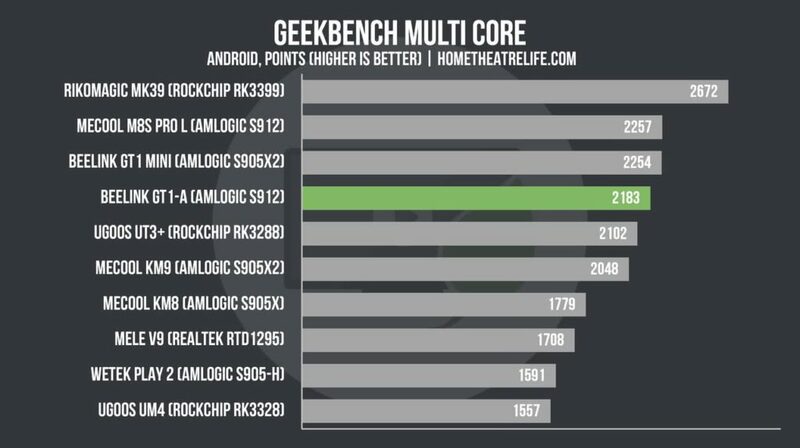 Gaming performance was generally good. 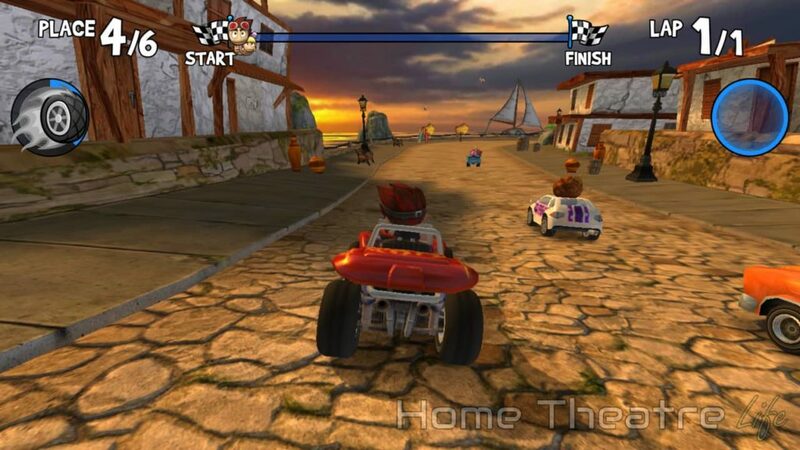 Titles such as Beach Buggy Racing playing well when maxxed out. 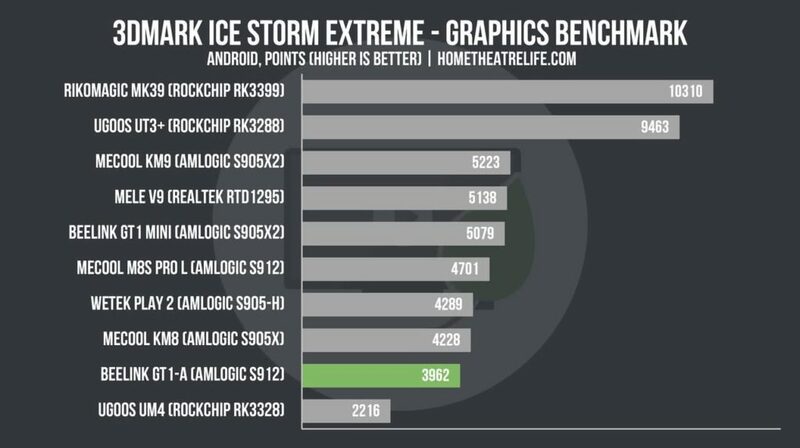 More demanding titles like Asphalt 8 remained playable, but I did have to drop settings pretty significantly. The octocore Amlogic S912 inside the Beelink GT1-A makes the device a decent choice as an emulation machine. 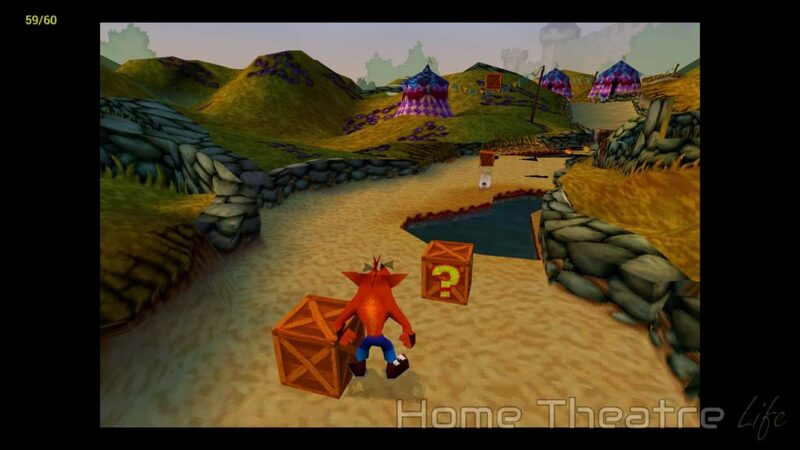 Super Nintendo, N64 and PS1 played well though PSP emulation via PPSSPP was too much for the Amlogic S912 inside. 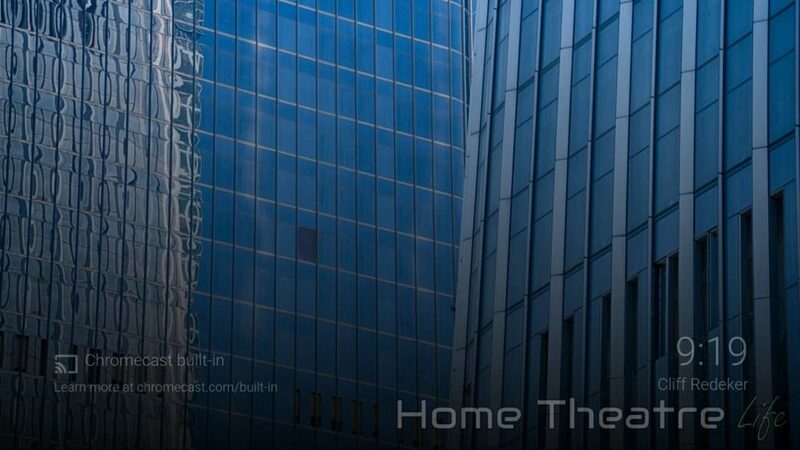 With its excellent wireless hardware and strong CPU, the GT1-A can handle Steam In-Home Streaming via the Android app on the Google Play store. I was able to play using the “Beautiful” preset over wifi which requires 30mb/s of bandwidth, though a wired connection would probably improve performance. Network performance was measured using WiFi Speed Test 3 times for each connection type, with the average presented below. Networking speeds were good, with no issues streaming 4K content wirelessly over the network. Should You Buy The Beelink GT1-A? 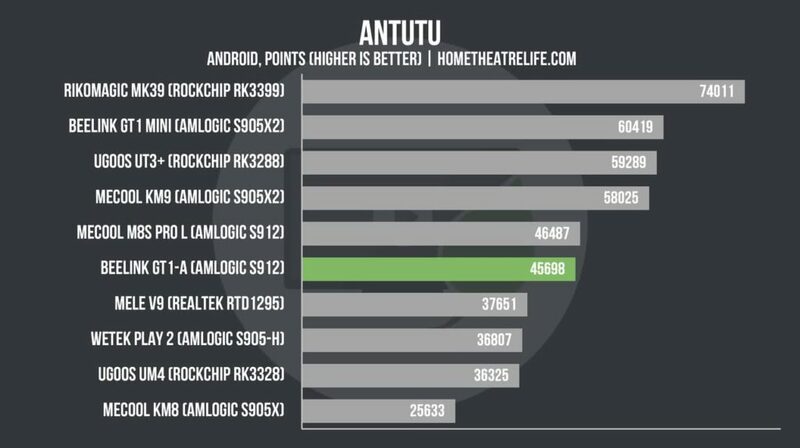 The Beelink GT1-A is certainly a strong step in the right direction for Beelink. There’s still some issues/bugs like the broken Chromecast support and limited support for services outside of YouTube and Netflix. 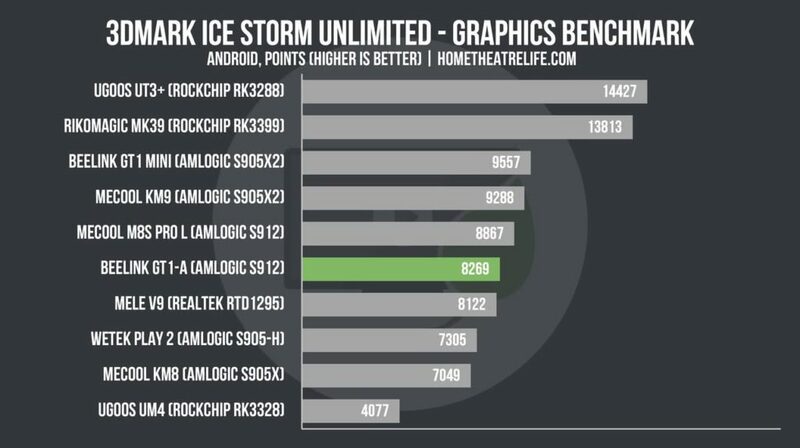 However, Performance was good across the board and 4K Netflix solves arguably the biggest gripe most users have with these cheaper Android TV boxes. The Beelink GT1-A is available from Amazon and GearBest. 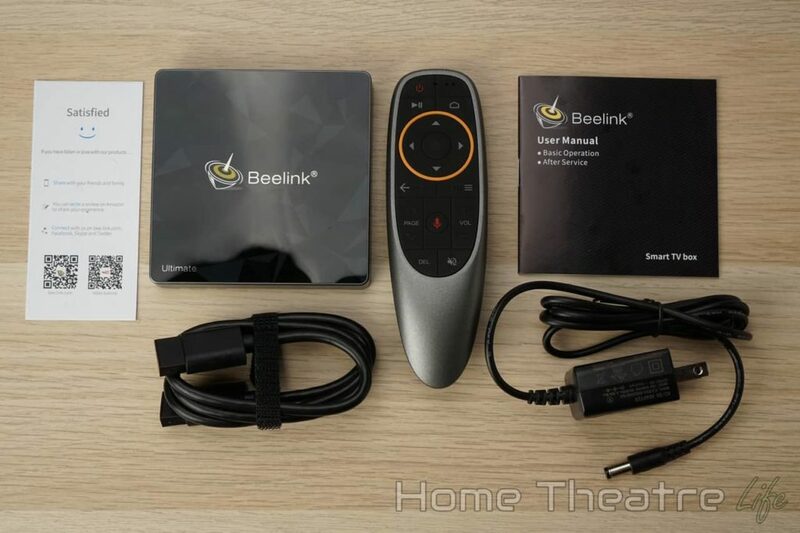 The Beelink GT1-A addresses many of the complaints of many Android TV boxes whilst offering good specs at a good price but there's still quirks to be aware of.